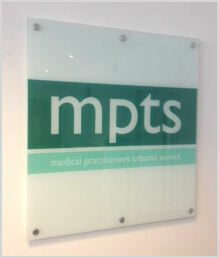 New Medical Practitioners Tribunal Service to Hear Cases from 2012 | Doctors Defence Service – UK. The General Medical Council is to lose its adjudication role from June 2012. New cases that are referred to the General Medical Council (GMC) will be heard by the new tribunal the Medical Practitioners Tribunal Service (MPTS), which will be independent of the GMC, and case already being investigated or processed will now be adjudicated by the MPTS. The GMC will retain its investigative role for the time being. The Medical Practioners Tribunal Service will hear cases that have traditionally been heard by the GMC Fitness to Practise Panels (FTPPs). The adjudication will follow similar principles as before but the new tribunal will be completely independent of the GMC and will be led by a senior judicial office holder. The change was recommended in part by Dame Janet Smith, who chaired the Shipman Inquiry (which looked at the failures of State bodies to prevent Dr Harold Shipman from murdering many of his patients. Many changes have already been implemented, such as a lowering of the standard of proof from the criminal standard to the civil standard, as well as a relaxation of the rules governing the admissibility of evidence.